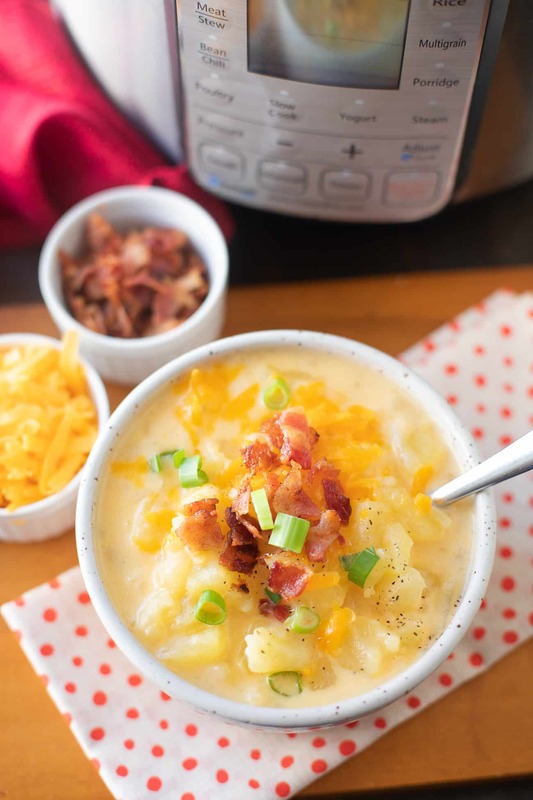 My Instant Pot potato soup recipe is creamy and loaded with delicious flavor. It’s really like a loaded baked potato—in a bowl! 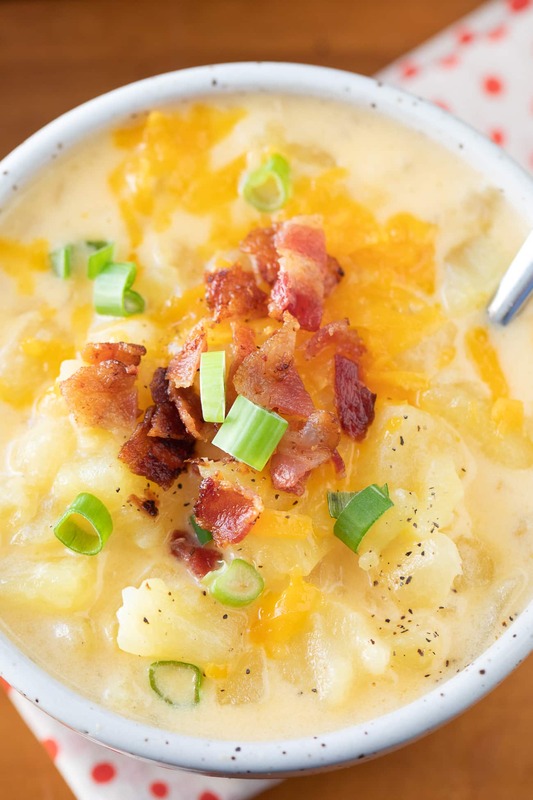 Pull out your pressure cooker and whip up some of this comforting baked potato soup right now! During the winter, Instant Pot Spaghetti and Instant Pot potato soup are staples in our weeknight dinner lineup. This recipe has been adapted from my popular crock pot cheesy potato soup recipe. I’ve had so many of you ask if I could make an Instant Pot potato soup based on that amazing recipe. 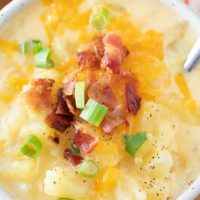 I’ve been holding onto this Instant pot loaded potato soup recipe for a while, as I wanted to make sure it was just right! Start by prepping your potatoes, onion, and garlic. I like using Yukon gold potatoes for this recipe. Add the potatoes, onion, garlic, salt, and pepper to a 6 qt. or larger Instant Pot. Cover with the 6 cups of chicken broth, stir to combine the ingredients. Put on the lid on your Instant Pot and set to sealing position. Cook on high pressure for 9 minutes. After 9 minutes use the quick release method. 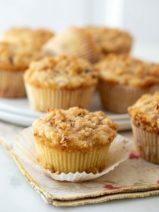 In a small bowl, whisk the 3 tablespoons of flour into the half and half until smooth. Take the time to make sure this is quite smooth before using it! After the pressure is released from the pressure cooker, remove the lid from the Instant Pot, stir in the half and half mixture until well blended. Add the Velveeta cheese and shredded cheese and stir until melted. Garnish your Instant Pot potato soup with crumbled crispy bacon and green onion, optional. You could also add a dollop of sour cream. 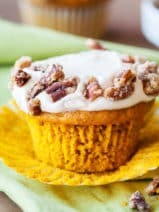 Y’all, this recipe is amazing! If you decide to give it a try, let me know how it turned out for you. A few of you have already asked if this Instant Pot potato soup can be made without the Velveeta cheese. Personally, I think the addition of the Velveeta adds a lot of flavor and creaminess, but, you can make it with all shredded cheese as well. It’s really up to you. 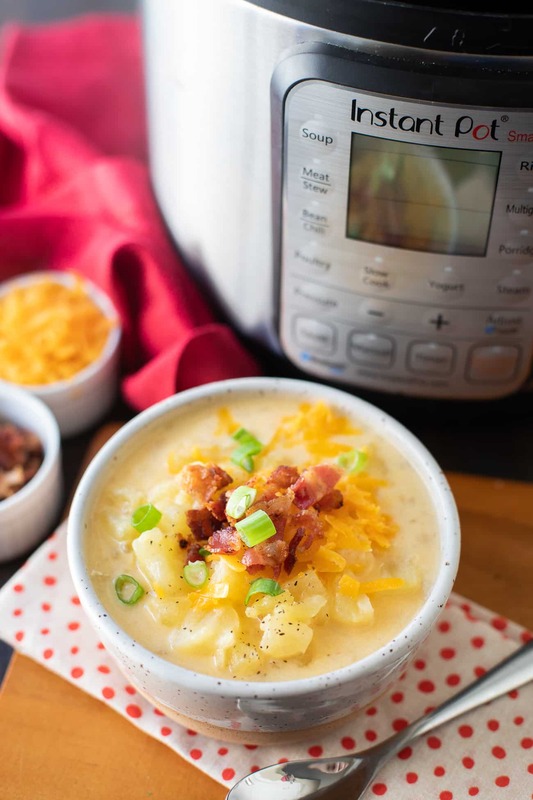 Our easy Instant Pot Potato soup recipe is loaded with flavor! Add the potatoes, onion, garlic, salt and pepper to a 6 qt. or larger Instant Pot. Cover with the 6 cups of chicken broth, stir. Put on the lid and set to seal. Cook on high pressure for 9 minutes. After the 9 minutes, do a quick release on the pot. 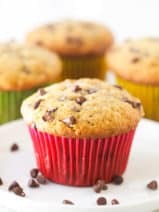 In a small bowl, whisk the 3 tablespoons of flour into the cold half and half until smooth. Be sure to whisk thoroughly to remove all lumps. After all pressure is released, remove the lid from the Instant pot and stir in the half and half mixture until well blended. Add the cheeses and stir gently until melted. Garnish with more shredded cheddar, crumbled bacon, and green onion, optional. Hmm yum! This potato soup looks soooo yummy. I am sure my son would love this! I sauted 1/2 pound of bacon, cleaned pot and added it to the potatoes etc. Because I LOVE Bacon. That being said this was literally the best soup I have ever had!!!! Thank you for the recipe!!!!! 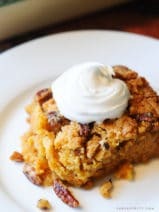 I made this last night using Sweet Potatoes.It turned out SOooo Good that I’m having some for breakfast on this cold, snowy morning.I’d like to know if it freezes well. 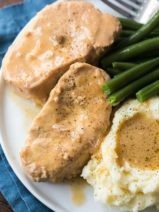 You have combined two of my favorite things in this recipe…potatoes and instant pot. Can’t wait to get home and try it. 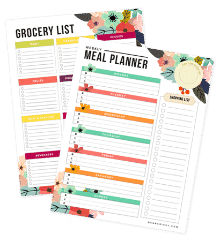 Can you freeze any left overs? The soup was totally Awesome, but it’s just me & my hubby. Can you maje this with water and add milk when done ? Instead of the chicken broth? Hi Crissy! It looks so delicious. I will definitely make this recipe on this weekend. 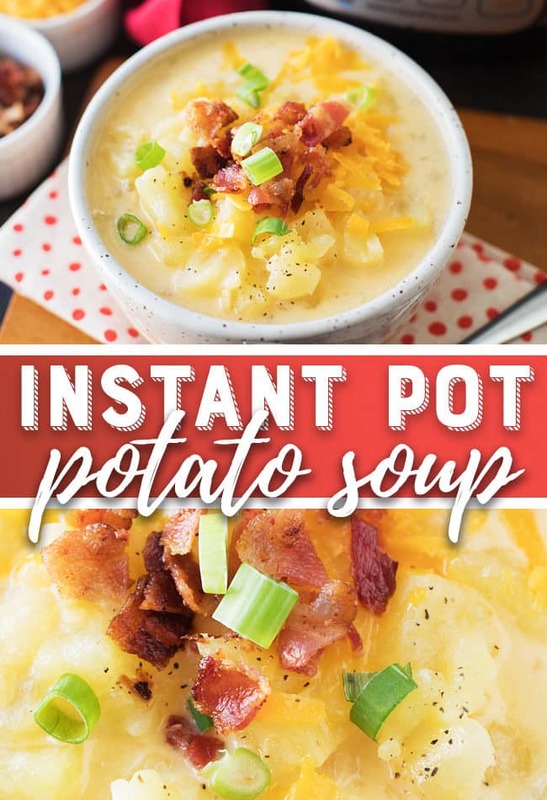 Thanks for sharing Instant Pot Potato Soup recipe! Hey, looking for a slow cooker recipe for split pea soup. If tou have some would you please post them. Thanking you kindly.